Yesterday the Charles Sturt University ICT Community of Practice had one of it’s regular afternoon forums, campus-wide, in meeting spaces, and via online conferencing. It’s a great way to bring people together from various faculties and disciplines. The focus in on sharing – not quite a PechaKucha, but close to it with just 10 minutes to share a few nuggets of gold! As one of the invited presenters, my focus was on creativity and the use of images. 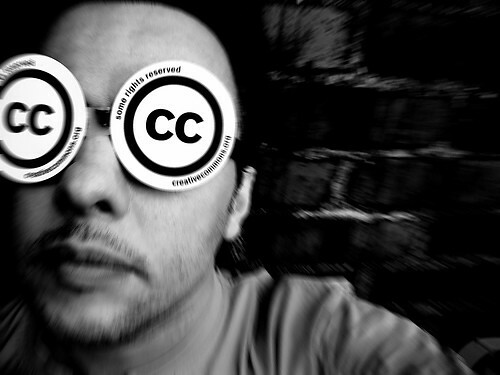 This is based on the fact that I want teachers to understand remix culture (when it comes to images); use of creative commons and various sources of free images; image attribution; and visual presentation for blogging and creating presentations. With the 10-minute presentation I also included one of the regular updates that I provided my teacher/students in the Digital Citizenship in Schools subject to help springboard ideas. The trick of course is to engage teachers from all ends of the spectrum of ICT prowess. So for the newbies, an introduction to flickr and other CC image sources is a must. For the geeks an introduction to tools like Alan Levines wonderful FlickrCC Image Attribution Helper is a must! A lovely lecturer in Veterinary Science contacted me later to let me know she was excited by the ideas and would be weaving what she has leaned into her work. How cool is that? To be able to share across disciplines in this way is future learning methinks! Understanding remix culture as a creative and professional habit IS about understanding creativity and copyright!